I remember my grandfather, Chester Davis West telling stories about delivering groceries. He would tell about how he wasn’t suppose to go inside the pesthouses, but would walk up to the door and straight into the kitchen to place the groceries on the table. The pesthouses were places where people sick with tuberculosis, cholera, smallpox or typhus would go to get well. At one point an old schoolhouse was used as the local Bradford pesthouse. 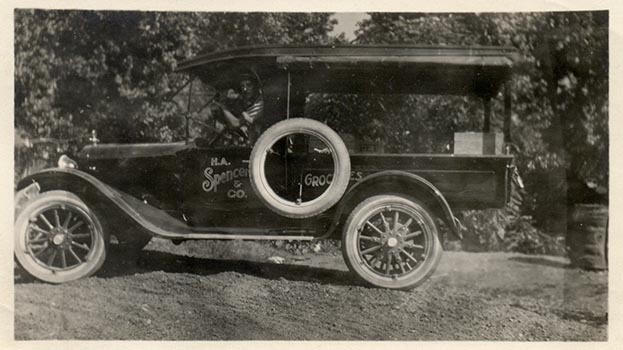 Starting around 1918 Grandpa delivered groceries driving the Spencer Grocery horse and wagon. 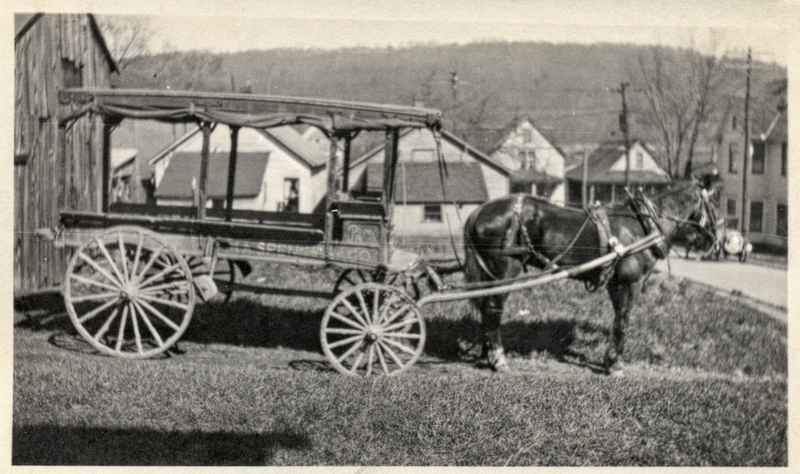 By the 1920s the horse and wagon was to be replaced with a 1920s Dodge Screenside Delivery Truck. The pictures of the delivery vehicles turned up in a batch of photos that my mother had never seen. They must have been Grandpa’s private stash of photo memories before he married my Grandmother. A couple of photos of a very young her were tucked in the mix.